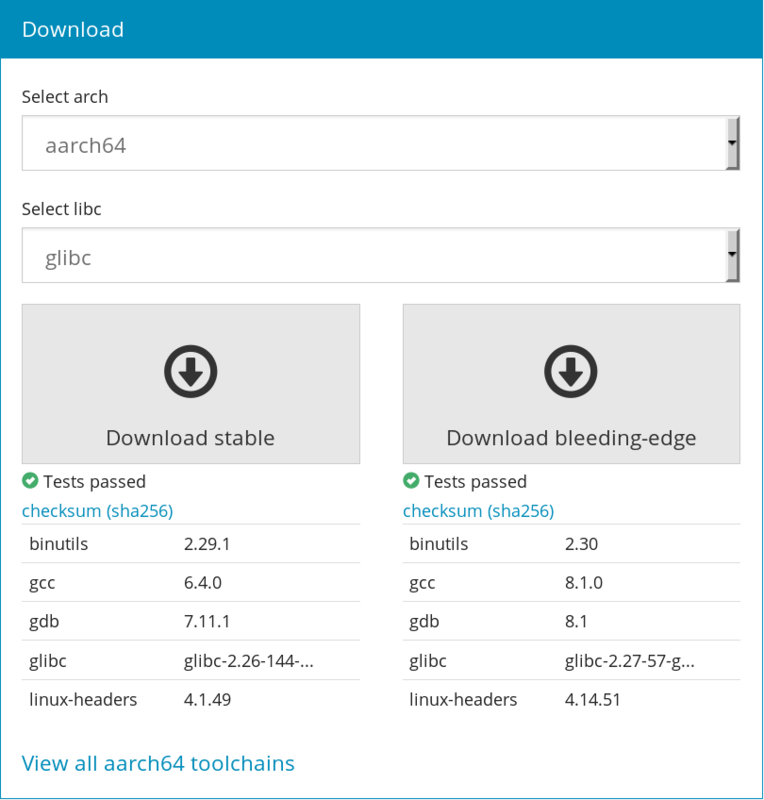 All our 77 bleeding-edge toolchains built successfully with those component versions, and many of them received runtime testing under Qemu. We would like to do a special thanks to Romain Naour from Smile, who contributed a lot to this update by adding GCC 8.1 and GDB 8.1 support in Buildroot, and fixing a number of issues discovered when building those toolchains. We will continue to regularly update our toolchains, and we are very interested in receiving feedback about those toolchains, to fix any issue or extend the range of configurations that are covered. Do not hesitate to get in touch!